The show opens with sitdown interviews with the participants of tonight’s show including Shinsuke Nakamura and Samoa Joe. 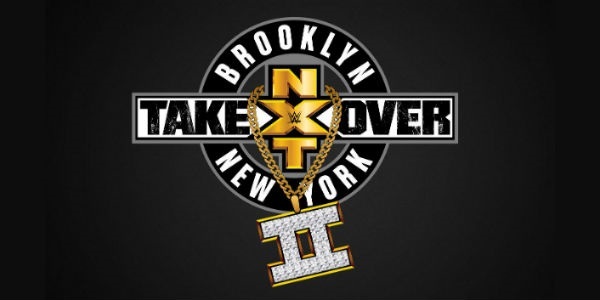 They discuss where they were one year ago for the first NXT Takeover Brooklyn show and they talk about taking over Brooklyn tonight. Aries gets Jose’s back, takes him down and slaps him. They stand and Aries offers a handshake. Jose shakes his hand and slaps him and then stomps him on the mat. Jose chops Aries and whips him into the corner and Aries goes outside to avoid a punch. Jose chases Aries in and out for the ring and then comes off the ring with an axehandle. Jose chases him up the aisle and then shoves him into the apron. Back inside, Jose punches Aries and whips him into the corner. They go to the top turnbuckle and Aries guillotines Jose on the top rope. Aries drops knees on Jose and hits a back elbow in the corner. Aries drops an elbow from the top rope to the back of Jose’s neck. Jose fight back but Aries knocks him down with another back elbow and drops an elbow. They trade punches and Jose throws Aries to the floor. Aries gets to the apron and Jose runs his head into the turnbuckles and then chops him down. Jose gives Aries a big backdrop. Aries does a shinbreaker into a suplex and applies the last chancery. Jose gets to the ropes and they stand and trade elbows. Jose gets Aries in a TKO. Jose goes for his spinning full nelson slam but Aries throws him to the floor and hits a tope suicida. Aries gives Jose a neckbreaker in the ropes and then nails a corner dropkick. Jose gives Aries a falcon arrow. Aries hits a rolling elbow but Jose responds with a clothesline. Jose goes for the full nelson slam again but Aries gives him a crucifix bomb followed by a corner dropkick. Aries goes to the top rope and Jose elbows him. Aries gets Jose in a sunset flip powerbomb. Aries applies the last chancery and Jose taps out to give Aries the win. Aries applies the last chancery again after the match and Hideo Itami’s music hits and he comes to the ring. This was a good opener and Jose was more impressive than I expected while Aries was as impressive as I expected. Boots him in the stomach and elbows him. Itami hits him with strikes and kicks and gives him the Go 2 Sleep. Ric Flair is shown in the crowd. Footage is shown of Samoa Joe preparing as well as Shinsuke Nakamura in his locker room with Funaki and Kota Ibushi. Moon gets a hammerlock and gives Kay a flying headscissors. Moon tries a sunset flip but Kay fights her off and knocks her down with a forearm. Moon gets a crossbody off the second rope. Kay gives her Sole Food and then punches her on the mat. Kay botches a widow’s peak attempt but gets it on the second try. Moon is in the hold for some time and as she tries to power out Kay drives her to the mat. Moon gets a roll-up and throws strikes and kicks at Kay. Moon does a front flip into an avalanche and then goes to the top rope and hits a leaping ace cutter for the pin. Nice debut for Moon. Roode has a great entrance and theme music and gets a great reaction. The fans start chanting “This is glorious!” Roode and Almas tie up and Almas misses a dropkick. Almas throws a chop and then hits a sliding dropkick. Almas throws Roode outside with a rana. Almas goes to the apron and slingshots into the ring, swinging around into a dropkick through the ropes. Almas goes to the apron and taunts Roode who is in the ring. Almas goes to the top rope but gets crotched when Roode hits the ropes. They trade chops in the corner and Roode gives him a knee to the gut. Roode does a delayed vertical suplex and grabs a headlock. Almas fights back but takes another knee to the gut. Almas hits a back elbow but takes a boot to the face. Roode goes to the top rope but Almas dropkicks him to the floor and hits a springboard corkscrew plancha. Roode is back inside and takes a top rope crossbody from Almas followed by a bulldog. Almas fires up but Roode hits a big clothesline flipping him in the air. Roode takes Almas to the top rope but Almas fights him off with elbows. Roode gives him a back superplex but Almas lands on his feet. Almas gives Roode a straightjacket suplex. Almas misses a first suplex and then hits one but Roode gets his knees up. Roode goes for a fisherman suplex but Almas gets him in a small package. They trade elbows and Almas throws a kick. Almas hits double knees on Roode in the corner. Almas goes for a hammerlock DDT but Roode stops him with uppercuts. Roode gets Almas in a spinebuster and gives him a pumphandle slam to get the pinfall. Almas looked much better here than I have seen him in NXT and it made Roode’s debut all the better. A video was shown hyping up an angle referred to as “Sanity”. HHH was shown unveiling the championship trophy for the Cruiserweight Classic made by the crew from Orange County Choppers. Mauro Ranallo is shown at ringside with CC participants including Kota Ibushi, Noam Dar, Brian Kendrick and Rich Swann. Ciampa and Dash start trading holds. Dawson hits a big chop and avoids one by Ciampa by going to the floor. Dawson comes back in and boots Ciampa in the stomach. Ciampa gets a headlock takeover and then starts chopping Dash and Dawson. Gargano tags in and hits double knees in the corner on Dawson with Ciampa hitting a clothesline afterward. Gargano grabs an armbar but Dash tags in. Gargano gives him a drop toehold and works the arm. Gargano hits a dropkick and goes back to the armbar. Dawson tags in and misses an elbowdrop. Dawson and Gargano criss-cross and Dawson hits a back elbow. Dash comes in and slaps Gargano around. Dash whips Gargano out of the ring but he comes back in and all four men face off and start brawling. Ciampa clotheslines Dash over the top rope and Gargano superkicks Dawson who gets pulled out of the ring. Gargano hits a tope suicida and Ciampa hits double knees off the apron. Ciampa returns to the ring where Dawson throws him into the ropes and hits a back suplex. Dash and Dawson double-team Ciampa in the corner. Dawson tags in and he and Dash hit the drop toehold/elbowdrop combination. Dawson does a headlock and Ciampa fights out with strikes. Ciampa gets a sunset flip on Dawson and then hits an enzuiguri. Ciampa goes for the tag but Dawson pulls Gargano off the apron. Dash tags in and he and Dawson do a double-team facebuster. Ciampa fights back with a jawbreaker on Dash and attempts a tag but gets caught in the opposite corner. Dawson tags in and applies a body-scissors and then a chinlock. Ciampa fights for the tag but Dash distracts the referee who misses a tag. Dash and Dawson give Ciampa decapitation. Dawson misses a charge in the corner and Ciampa gets the hot tag. Gargano unloads with strikes and kicks Dawson in the side of the face and gives him a neckbreaker. Dawson backdrops Gargano to the apron where he superkicks Dash and then spears Dawson. Dash gets the tag and Dawson DDT’s Gargano. Gargano gets a roll-up on Dawson and Ciampa tags in and gets an armbar on Dawson. Dash breaks it up. Dash and Dawson go for a double suplex that is broken up by Gargano. Ciampa rolls up Dawson and they get up and trade strikes. Ciampa hits knees but takes a slap. Dash tags in and attempts knees on Ciampa who rolls over for a pin attempt. Ciampa and Gargano then hit double superkicks on Dash for an apparent three-count that is waved off as Dash had his foot on the rope. Ciampa and Gargano go for a double-team but Dawson pulls Ciampa outside. Dash hits a chop block on Gargano and Dawson tags in and holds Gargano’s knee for a top rope stomp by Dash. Dash then applies a reverse figure four and Gargano taps out. This was a great match and although I would have preferred the title change both teams came out stronger. Sasha Banks, Becky Lynch and Charlotte are shown in the crowd. They lock up a few times with Asuka going after the arm. They do a test of strength and trade roll-ups. Bayley charges Asuka in the corner and then hits a back elbow. Bayley comes off the second rope but Asuka hits her with a knee to the nose. Bayley rolls outside and back in and takes two hip attacks. They run each other’s heads into the turnbuckles. Asuka charges in the corner and ties Bayley up in the ropes. Asuka kicks her in the head and then hits a running up-kick. Asuka rams Bayley’s head into the turnbuckle but Bayley fights back and does the same. Bayley suplexes Asuka and elbows her in the spine. Bayley hits a clothesline and a knee-drop. Bayley charges Asuka in the corner and goes to the apron where Asuka hits her with a forearm. Asuka goes for a hip attack but Bayley avoids it, throws some strikes and guillotines her on the ropes. Bayley does a crossbody off the ropes for a pin attempt. Bayley goes up top and misses a crossbody and Asuka hits her with a shining wizard. Asuka takes Bayley to the top rope but Bayley gets out and hangs her in the tree of woe for an elbow-drop. Bayley and Asuka exchange strikes and Bayley hits knees mixed in with a hip attack by Asuka. Asuka applies a stretch muffler but Bayley gets out into a pin attempt. Asuka grabs an ankle-lock. Bayley gets out but takes strikes and kicks. Bayley catches Asuka’s leg and challenges Asuka to hit her in the face which she does while Bayley blocks. Asuka does a spinning backfist and Bayley catches her fist and rolls her up. Bayley starts throwing body-shots. Bayley blocks a kick and attempts a powerbomb but collapses. Bayley gets her up in a powerbomb position but drives her to the mat face-first. Asuka applies the Asuka-lock but Bayley fights out, throws elbows and hits the Bayley-to-Belly Suplex. Bayley charges but gets caught in the Asuka-lock with Asuka not getting her legs locked. Bayley rolls over into a pin but takes a head-kick. Bayley fires up and throws a slap but takes two head-kicks and Asuka pins her. They hug after the match and Bayley hugs Lynch, Banks and Charlotte at ringside. This was another classic Bayley title match and Asuka looked as good as I’ve ever seen her, which is saying something. Mick and Noelle Foley are shown in the crowd followed by Finn Balor. Nakamura grabs at his face. They throw kicks at each other. And then Nakamura knees Joe in the gut several times. Joe falls in the corner where Nakamura stomps on him. Joe rolls outside and pulls Nakamura to the floor and punches him. Nakamura rams Joe’s head into the apron and hits knees but Joe chops him down. They return to the ring where Nakamura throws more kicks but Joe nails an enzuiguri. Nakamura rolls to the apron and gives Joe an up-kick. Nakamura hits a running knee and falls to the floor when Joe avoids his knee-drop. Joe then hits an elbow suicida. Joe takes Nakamura back inside and attempts a pin. Nakamura throws a knee but Joe gives him a back elbow. Joe chops and kicks Nakamura and drops an elbow on him. Joe applies a dragon sleeper and Nakamura screams. Joe moves into a surfboard. Nakamura fights out and hits a knee and elbows but Joe clips his knee. Joe does a powerbomb into a Boston Crab and transitions into an STF. Nakamura gets out and hits an enzuiguri. Nakamura hits Joe with a ton of kicks. Nakamura puts Joe on the top rope and knees him in the gut. Nakamura goes for an inverted exploder but Joe fights out with elbows, hits an inverted atomic drop and a kick but misses a senton. Nakamura grabs a front facelock and then takes Joe down and knees him in the head. Nakamura charges Joe who gets a partial STO. Joe takes Nakamura to the top rope for a muscle buster but Nakamura kicks him off and dropkicks him. They trade elbows on their feet and then Joe throws punches and slaps and clotheslines Nakamura. Joe goes for a clothesline but Nakamura grabs him a cross armbreaker attempt. Joe stays out of it but rolls into a triangle attempt. Joe stands up and puts Nakamura in a Texas Cloverleaf. Nakamura gets the rope break. Joe puts him in a sleeper but Nakamura rolls him out. Joe hits a knee and some elbows and applies the Kokina Clutch with Nakamura getting to the ropes. Joe takes Nakamura to the top rope but Nakamura elbows him away. Joe chops Nakamura who headbutts him. Joe elbows Nakamura in the head and Nakamura gives him a German suplex. Nakamura charges Joe who powerslams him. Joe takes Nakamura to the top rope again and hits an enzuiguri. Joe gives Nakamura a muscle buster but Nakamura kicks out. Joe gets Nakamura up for the muscle buster again but Nakamura gets out and hits the kinshasa for a two-count. Nakamura goes up top and hits a flying knee to the back of Joe’s head. Nakamura then nails another Kinshasa and gets the pin to become NXT Champion. The fans give a huge ovation. This was an awesome match to finish an awesome show. It would be great to see Nakamura on the main roster but it sure is great to see him doing this stuff as well. 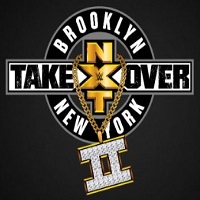 This was an amazing show, probably on par with last year’s NXT Takeover Brooklyn show. If you haven’t watched it, do yourself a favor and make you do.